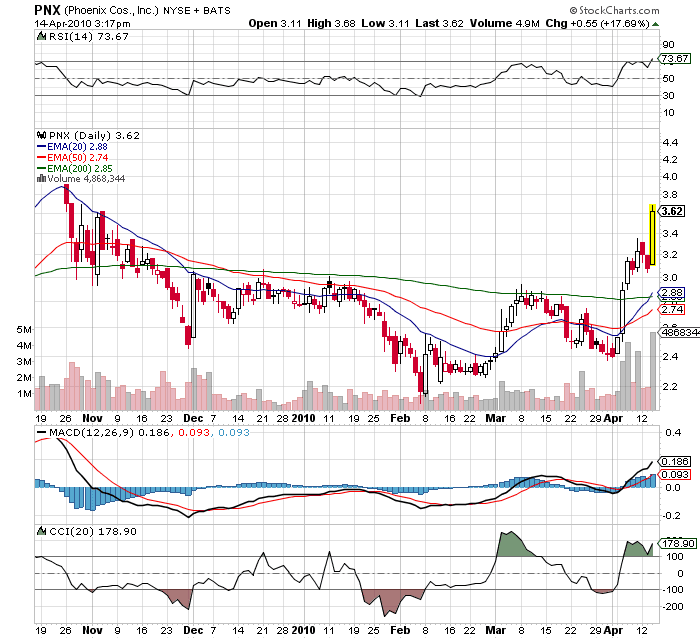 Phoenix Cos (PNX) has launched up 17% today with little rational other then the general market. Possibly some of the new from JPMorgans (JPM) earnings report today is helping the small cap financials as most are rallying big. Though not many to the tune of 17%. 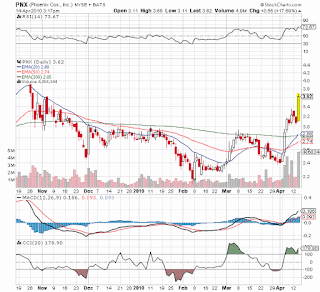 In general, PNX continues to be a cheap insurance play. Analysts expect them to earn roughly $.70 this year and next meaning that they are only now trading at 5x expectations. Probably remains a huge value until the $6 range. 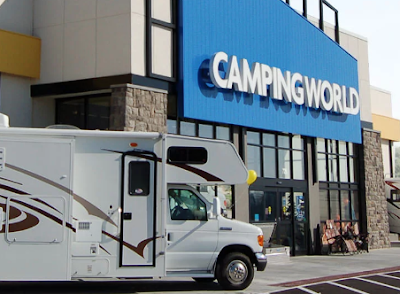 The stock is about a 1.5% holding of our Growth Portfolio. Its extended today so I wouldn't rush out to buy more. Look for shallow pullbacks on the way up. Todays move of the 20ema crossing the 200ema as likely brought in a lot of short term technical traders.